Ukraineb2b. 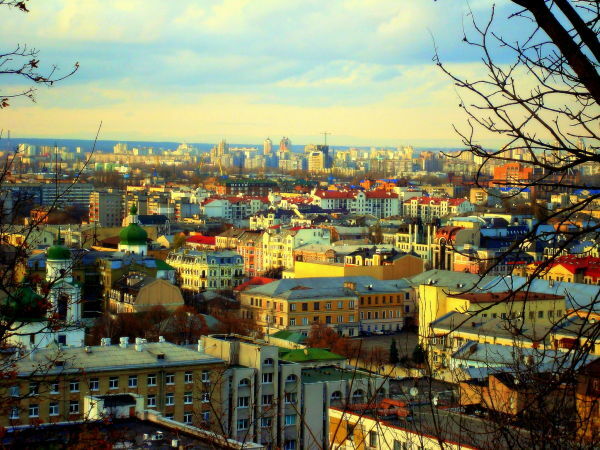 Business in Ukraine: Ukraine is great for living! 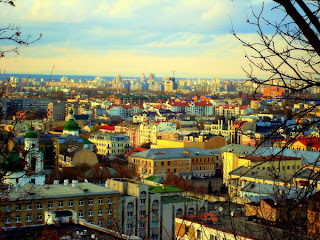 Ukraine is great for living! For those who do not want a thrill, Ukraine is a very good country. We do not fight with anyone, and do not intend to fight. We do not have attacks. We do not have hot spots, as in former times all the acute problems within the country, we decided peacefully. And this, most likely, will be in the future. As once, one journalist sadly remarked: in this country a civil war is impossible in the absence of citizens. Like, everybody do not care, no one is charged with some ideas, no patriotism, faith, etc. Maybe for super activists this is bad, but for those who like a quiet life - very good. And another important point: we have a relatively well with the criminals. The crime rate (at least in large cities), by European standards, is quite low. In short, peaceful heaven, peaceful life, all is quiet. Ukraine has very favorable climate. We have a marked summers and winters are not so severe (by the way, in terms of climate scientists, the presence of a cold time of year - it's blessing, because of dying bacteria). In many rankings, where consider climatic conditions, Ukraine is among of the top 30 countries in the world. Ukraine have no destructive typhoons, tsunamis and earthquakes, we did not erupt volcanoes. Unfortunately, due to the Chernobyl accident, as well as emissions from industry, we can not boast of a good environment, but there are many places where these adversities are not felt. Ukraine is a perfect place for those who want to do in agricultural area. The fertile soil, temperate climate, proximity to markets and ports - all this makes agricultural business extremely attractive (soil and climatic conditions of south-east of Ukraine - the best place in the world for the cultivation of sunflower). And food becomes more expensive in the world and the price will be going up, despite all of the crises (the number of population is growing and the number of acreage at least not increased). As said our agricultural businessmen in private conversations, they do not even consider projects with a profitability of less than 40%. For those young people, whose want to achieve success in their careers, Ukraine is an ideal country. Because of the scarcity of smart managers among older people, who are able to accommodate new developments and asking for their work moderate money, any ambitious and disciplined young man without “a king” in his head, who knows how to show loyalty and decency, can count on a quick career. That way, which Western people pass for decades (from the lowest manager to the head of the company), here can go for five years. Of course, there is a question of money. Ukrainian guy can become a head of bank branches at 25 years, but his salary is lower than has plumber in Paris))). But we are talking about those, whose the main thing is a career, rather than a quiet life, and regular pay. In our conditions, those, who can make a career and money, as a rule, are all right. In the end, many people, who “plowed” as top manager for “other uncle” with experience, go into own business. Our media are full of articles that prices are higher than in Europe. But this is not the whole truth. For some items, we have more expensive food, for other less. But even in this regard, we are not the most expensive country in the world and Europe. As for the other components of life: utilities, transportation (except air) and services sector; our prices are generally lower than in most European countries, including such important areas as education and medicine. We may have no advanced education in economics, but as to the technical education, it’s quite on the high level. And for IT specialist is really to study for free "on budget" and then, without leaving Ukraine, earning several thousand dollars per month for offshore programming. We have taken to abuse our medicine, but some basic diseases can be cure for free. And our paid medical services are less expensive than similar quality services from abroad. Roughly speaking, Ukraine is a very good country for living for those who earns good money and wants to spend them with a reasonable price. It is no accident that for our country moves many Russian and Israeli businessmen and Western European retirees. For those, who like to have a lot of fun in their life, Ukraine is a country, which has no equal among most of the countries inhabited. Where you can find that half a liter of vodka can be bought for 2 euro, and sold it around-the-clock. Here you can find a unique tradition of the feast, sincere, cheerful people that are not very aggressive, even after taking 500 grams of vodka and well-developed, high quality and, again, cheap by European standards, entertainment - restaurants, nightclubs, etc. In short, the ideal place for fans to have high quality fun. Ukraine is a large country with rich history and the real achievements in science and technology. It is the second largest country in Europe after Russia, with a very diverse terrain and natural areas. Ukraine is a country where Russ was Christianized, where great battles took place, and a country which as part of Soviet Union won the greatest war in human history. We are one of the five aircraft and space-faring nations of the world, as well as among the ten leading countries for the production of weapons. We are a world leader in coronary artery bypass grafting in artificial insemination. Finally, we enter the world's 10-15 leading sports countries. After all, we are proud of what we have!